The facility comprises two base camps. Camp 1 is located by Lake Lesjön downstream of the Hocksjöforsarna Rapids. Camp 2 lies upstream and is a true wilderness site in a Natura 2000 area and next to a nature reserve without road, electricity or utilities. It offers fishing in the peace and quiet of the backwoods. The facility is open all year, though fishing for pike and perch is best from May through September. 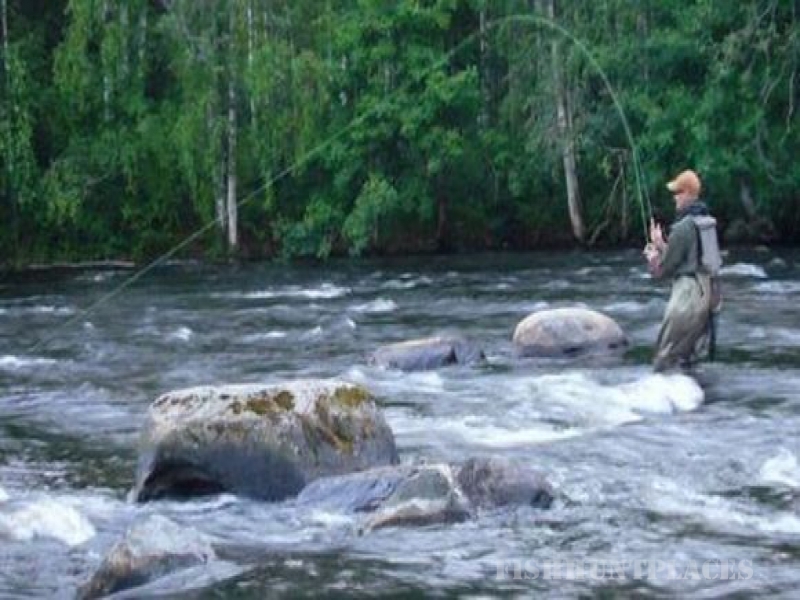 Grayling and brown trout in the rapids is open June through August, while the Hocksjö lakes are open for trout and char fishing all year. Guided tours to experience the amazing natural setting, perhaps to see beaver, otter, golden eagle or a nesting osprey. Within a radius of 30 km you can visit the Ivar Auto Museum, play golf or, in the winter, ski slalom or cross country. Or why not ride a snow scooter? We welcome anglers of all levels to our beautiful fishing waters around Rörströmsälven! A Linder 440 4.4-meter boat with a Suzuki 4 hp, 4-stroke motor. We transport the boat to the lake you have chosen. Guide service. Possible to hire or buy fishing equipment. There is a restaurant or we can cook your meal where you are. River Rörströmsälven runs through and past innumerable lakes where there is currently almost no fishing at all for either pike or perch. Spin fishing with large wobblers is best for pike. 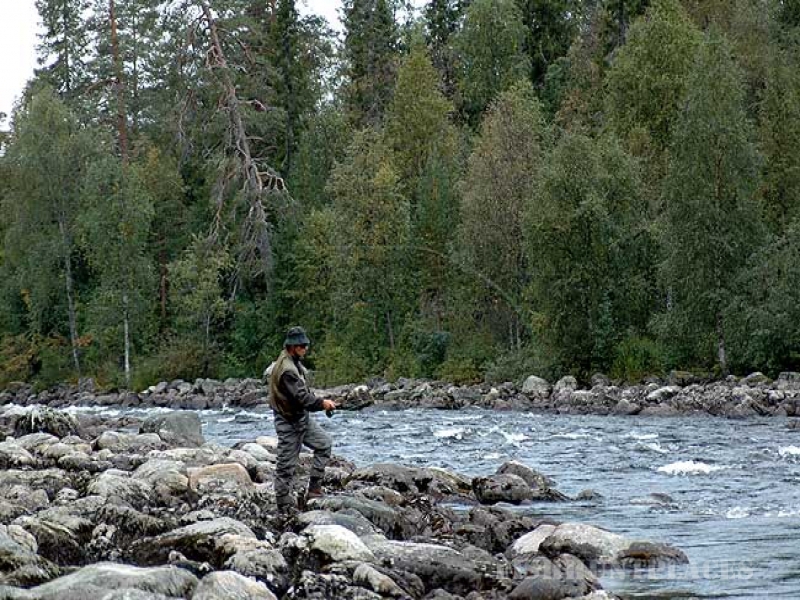 In the Hocksjöforsarna Rapids you need fly-fishing to catch grayling and brown trout. We stock the Hocksjö lakes annually with trout and char  you can actually reserve your own lake. Ice fishing for char in March/April is recommended. Only one medium-sized pike is allowed to be kept each day. 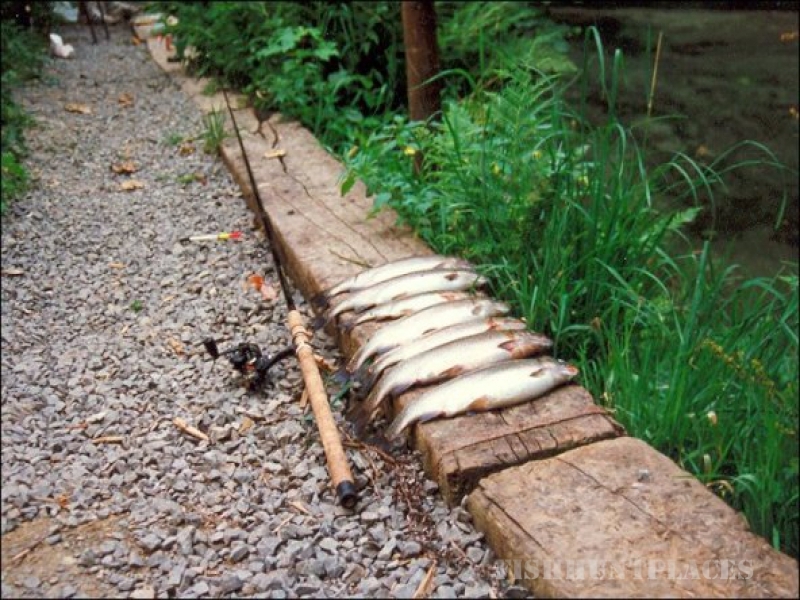 Trout and grayling are limited to three per licence with a minimum length of 45 cm. Fishing from June 1 through August 31. Trout and char in the Hocksjö lakes is by agreement.